Posted on 30, August 2016 by EuropaWire PR Editors | This entry was posted in Awards, Construction, Denmark, Real Estate and tagged daylight projects, International VELUX award 2016, VELUX. Bookmark the permalink. Hørsholm, Denmark, 30-Aug-2016 — /EuropaWire/ — Earlier this week, the international jury selected 10 inspiring daylight projects as regional winners. 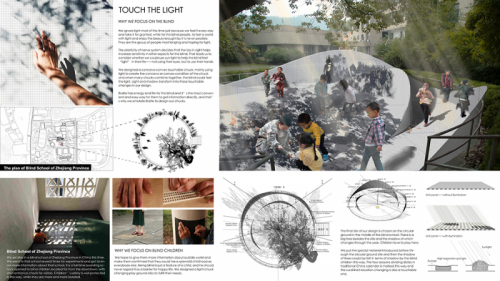 The International VELUX award 2016 challenges students of architecture to demonstrate an understanding of daylight as source of energy, light and life. The ten regional winners showed a level of investigation and understanding of how daylight is vital for architecture and how daylight can create space. They integrated creative daylight solutions in the city and in dense communities and they showed responsibility towards nature and to social interaction. They worked with many aspects from spirituality to how daylight can be made tangible for blind people in their projects. With close to 600 submitted projects from 57 countries, the competition displayed creative explorations on the theme of daylight from the world’s leading future architects. The regional winners of the International VELUX Award for Students of Architecture will now present their projects in competition for two overall prizes at the World Architecture Festival in Berlin on November 18, 2016. The ceremony will be livestreamed to iva.velux.com. The award jury: Omar Gandhi, Christine Murray, Zbigniew Reszka, Francesco Veenstra and Per Arnold Andersen met from 27 – 28 June in Copenhagen to review close to 600 submitted projects from 57 countries and by the end of the second day, they agreed on ten regional winners. The overall theme of the International VELUX Award 2016 is Light of Tomorrow. The award wants to inspire students of architecture to consider how to use sunlight and daylight as main sources of energy and light, and how to ensure the health and well-being of people who live and work in buildings. For more information, visit www.velux.com.